Preheat oven to 180*C. Grease and line the base and long sides of a 19 x 29cm slice pan. 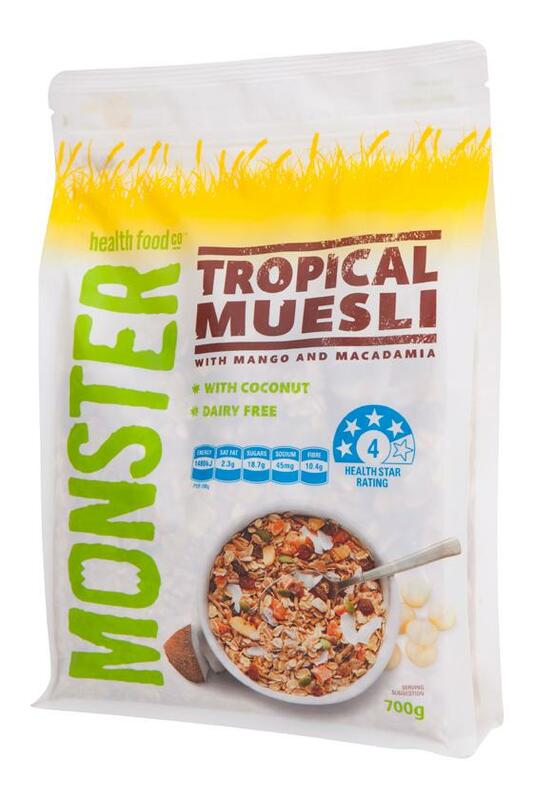 Combine the Tropical Muesli, sultanas, sunflower seeds, pumpkin seeds and cinnamon in a large bowl, set aside. Combine the honey, sugar and butter in a saucepan over medium heat. Cook, stirring, for 5 minutes or until butter melts and sugar dissolves. Bring to the boil and cook for 2 minutes or until syrup thickens slightly. Pour the hot syrup with mixture and stir to combine. Spoon into pan and press gently with the back of a spoon. Bake in oven for 30 minutes or until golden brown and crisp. Remove from oven and set aside in the pan to cool completely.